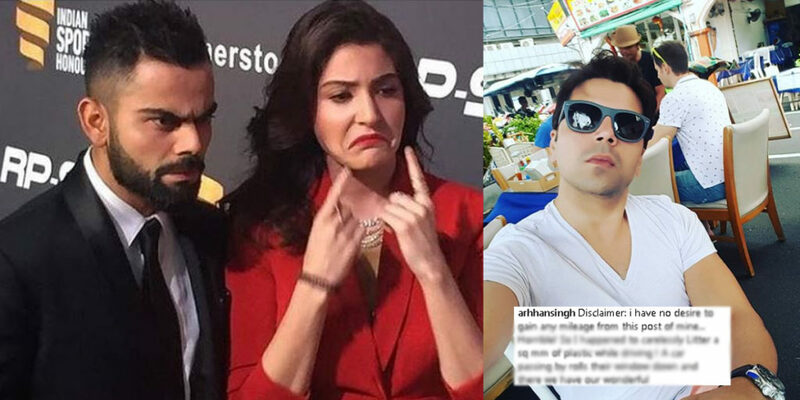 The man who was scolded by Anushka for littering slams back Virushka by calling them a ‘trash’. A few days ago when Virat posted this video of Anushka in which she is scolding a man for throwing out garbage on the road went viral. Most of her fans supported Anushka and slammed the man by their tweets. Some people also made fun of Anushka and Virat on Twitter and raised the matter of Virat’s abusive language on the pitch. Anushka and Virat are known for raising their voices on public issues, but some people call it a publicity stunts and don’t take it seriously. The man who was scolded a while ago posted a message for Anushka and Virat on his Instagram profile. His name is Arhhan Singh, and most of you were thinking that he made an apology in his Instagram post. He didn’t make an excuse for the issue, but he slams back Virushka by calling their behaviour trashy. He mentioned in his tweet that he was apologetic for his carelessness, but the way Anushka yells at him was not less than the garbage. He also called Virat’s mind trashy because of his shooting and posting idea of this video. He said that there are all kinds of manners and hygiene and the garbage that he mistakenly throws out was away less than the trash that came out from Anushka’s mouth. People were thinking that he was some random guy who Anushka scolded for littering but he was not a random guy. 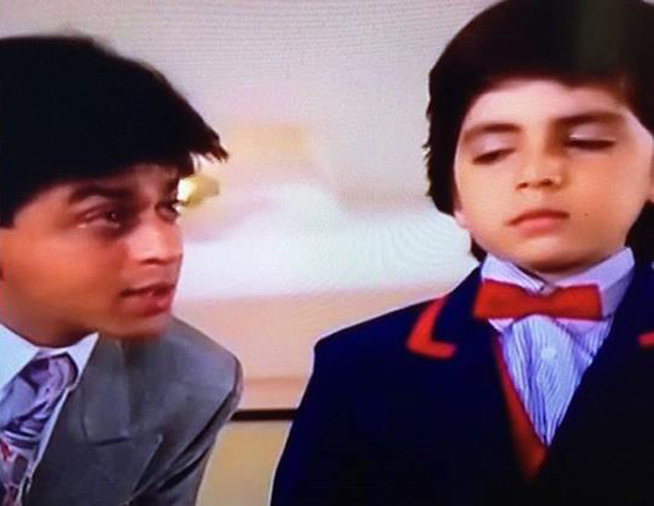 He had done a movie with Shah Rukh Khan as a child artist. Arhhan Singh was in the Shah Rukh Khan’s film English Babu Desi Mem. This movie was released in 90’s, and Arhhan also did his part nicely in this movie. There is also a rumour that he was also a part of 2010 film Paathshaala starring Shahid Kapoor. He is not running an event management company and is also a fashion designer. After his post on Instagram, some people also supported him. Let’s see how much longer this littering war will go on.